Ok, admit it, one of the best parts of ANY forestry meeting is the free time we have to catch up with friends and colleagues. That’s why at the APSAF Winter Meeting, the Wilmington crowd is rolling out the carpet for a rip roaring, good food eating, toe tapping, good time at the Social on Thursday night. Our venue is the laid back Ironclad Brewery with food brought to us by Middle of the Island Catering. 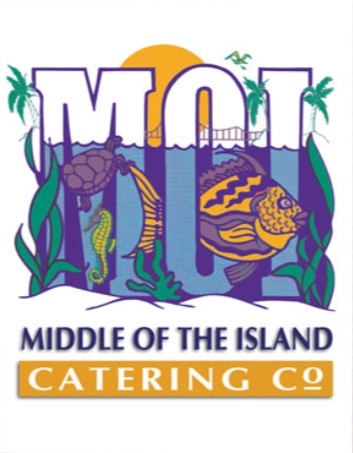 Because only the best will do, we’ve selected Middle of the Island in part because of the dozen awards they have won over the last few years. And no party is complete without a few tunes, we’ve secured local favorite Masonboro Sound to set us up with some tunes. For all of you registered for the APSAF Winter Meeting, this fun comes to you as a part of your registration. If you’re thinking - aw man, this sounds like a blast that I don’t want to miss, what are you waiting for?! Register today. It is election for Chair-Elect positions for APSAF, NCSAF, SCSAF, and VASAF has begun! We have great candidates that have stepped up for these important roles and it's time for you to weigh in. This is your opportunity to vote for future leaders within our organization. Please use this ballot to take a moment to learn about each candidate and make your selection. This is an update of the APSAF-led effort to attract and deploy donations to assist SAF Members in the impact zones of Hurricanes Florence (in the APSAF region) and Michael (in the SESAF region). Both events have been devastating to people, economies and ecosystems, and these regions will be years in recovery. Regarding the Hurricane Relief Fund, as of October 26th, we have collected $13,200.83 (the net of online GoFundMe donations and checks received to date), and we have sent $1000 checks from your donations to each of 10 SAF Members in North Carolina, Florida and Georgia who were significantly affected by the storms. APSAF also has several thousand dollars in reserve if needed, and additional donations continue to be accepted, at least through the end of the year. Donations have come in increments of $20 to $1000 at a time and have come from individuals, businesses, associations, SAF units, Tree Farm Committees and more. Partner organizations to SAF who were actively involved in the communication effort included ACF, FRA, NCFAE, NAUFRP and a number of state forestry associations. We are currently more focused on deploying the collected funds to those in need and less focused on asking for additional donations. In doing so, we have been reaching out through broadcast emails and announcements but also through one-on-one outreach via phone and email into the most severely impacted areas. Recipients have been universally humbled by and extraordinarily grateful for the financial and moral support that this has been providing, many somewhat reluctant to accept the help. A common response from impacted members who qualified for - but turned down - the support has been a wish that the contributions go to others who were even more in need. While the project is continuing, APSAF Leadership would like to thank everyone for their generous support, prayers and many expressions of concern, and we will be sure to thank all past and future contributors personally and properly. In the meantime, please continue to alert APSAF if you or someone you know needs this support by using the links near the bottom of the APSAF homepage (www.apsaf.org). Your donation is tax deductible, and these funds will go directly to the APSAF or SESAF members who have suffered in Hurricanes Florence and Michael. If you are an APSAF or SESAF member needing assistance, please click here to download the application form.